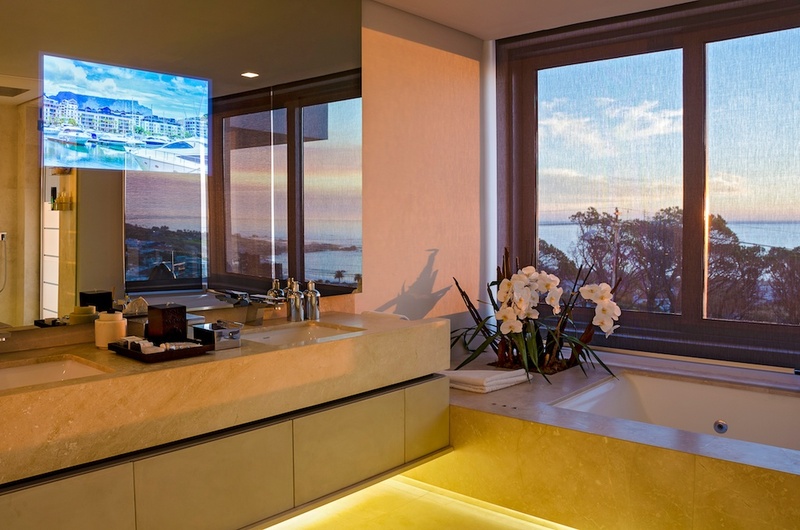 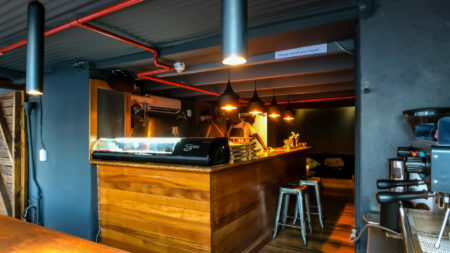 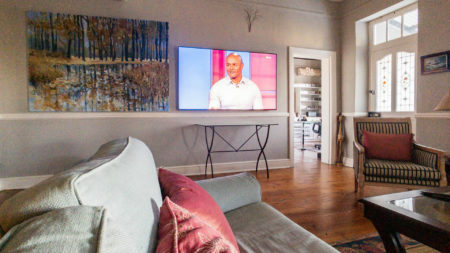 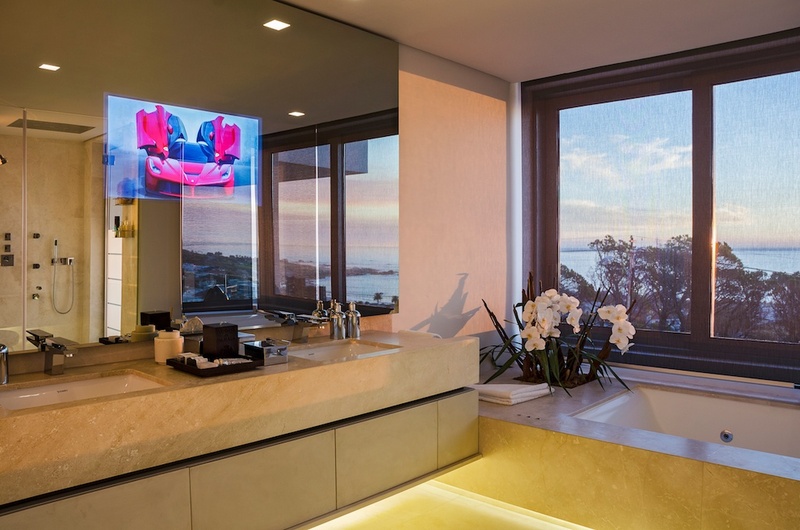 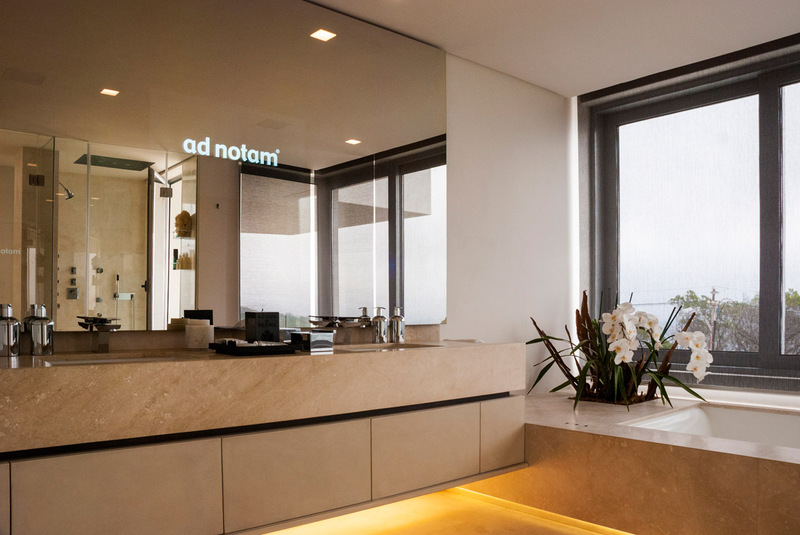 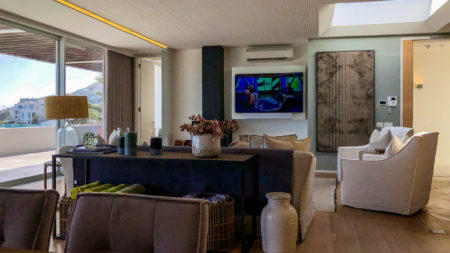 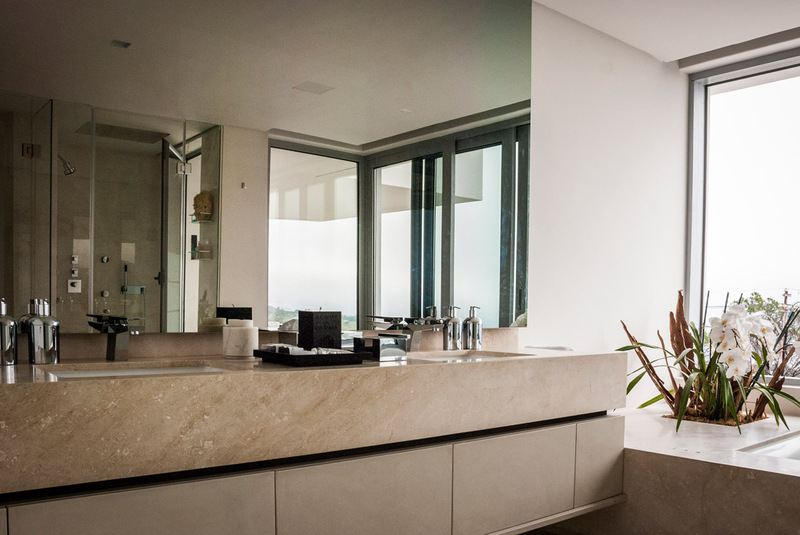 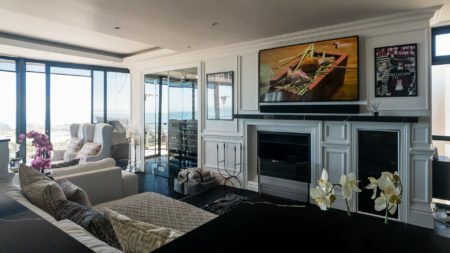 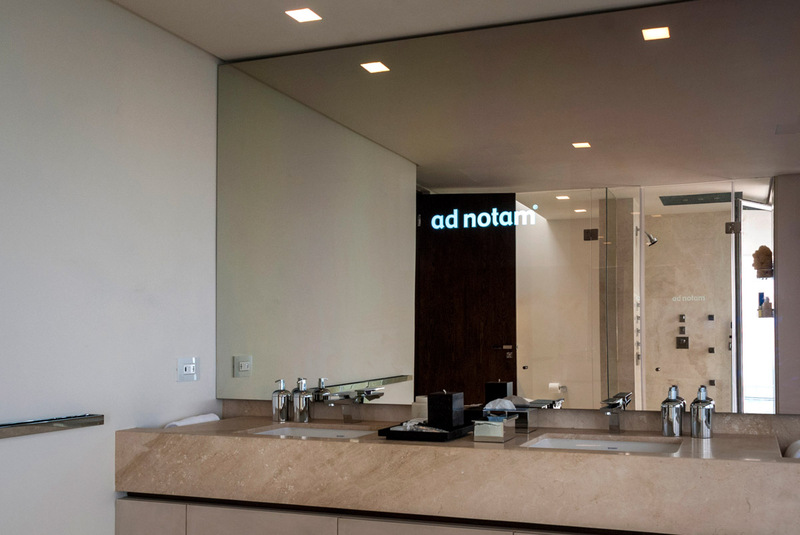 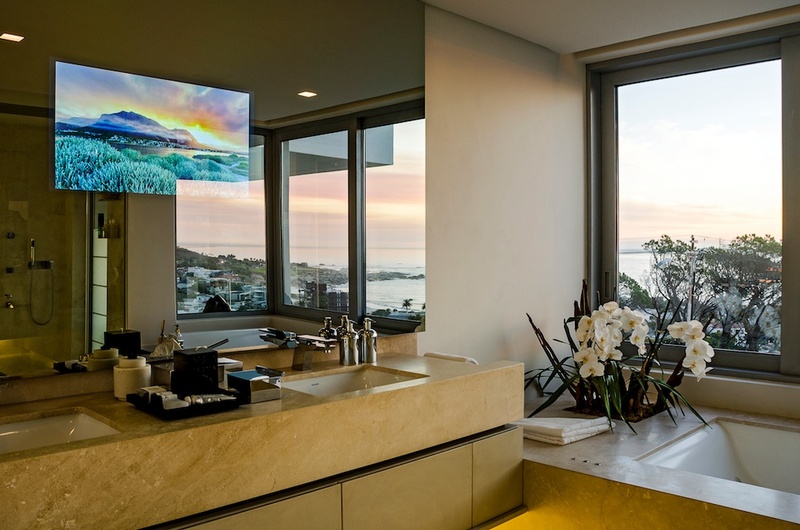 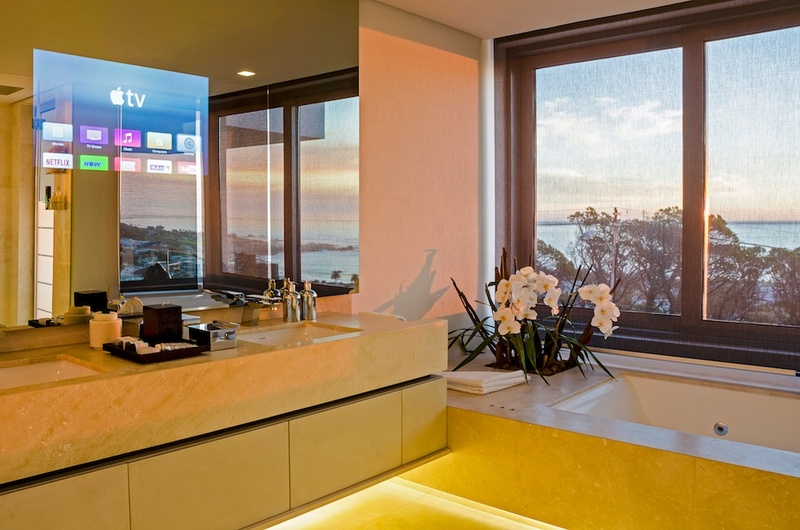 We were contacted in December 2013 to supply and install a mirror television for a bathroom in a house that was being built on the Atlantic Seaboard. 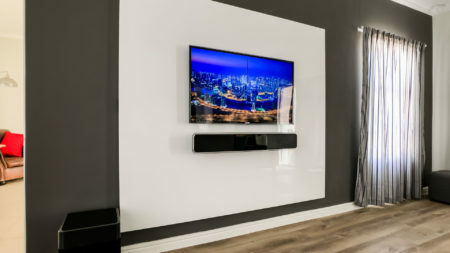 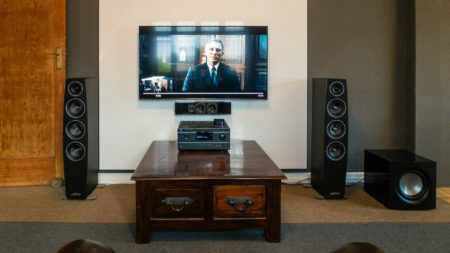 Video distribution is taken care of by a CYP HDBaseT video matrix, with a receiver located behind the television. 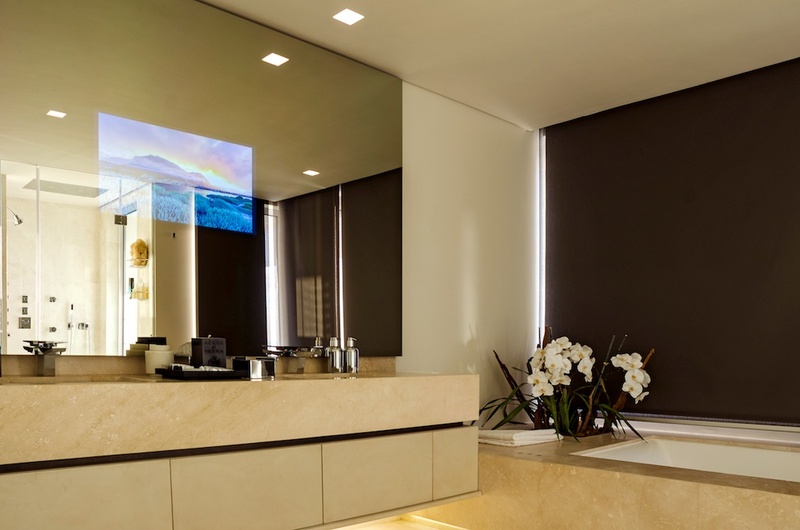 Television control (switching on and off) and source control is taken care of via a Crestron MLX-3 remote control. 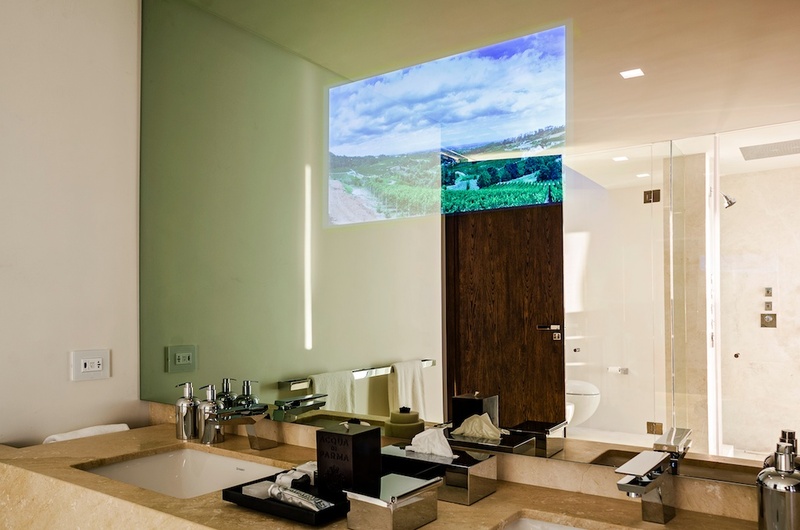 As this is a bathroom television the choice was between 32″ and 40″ size. 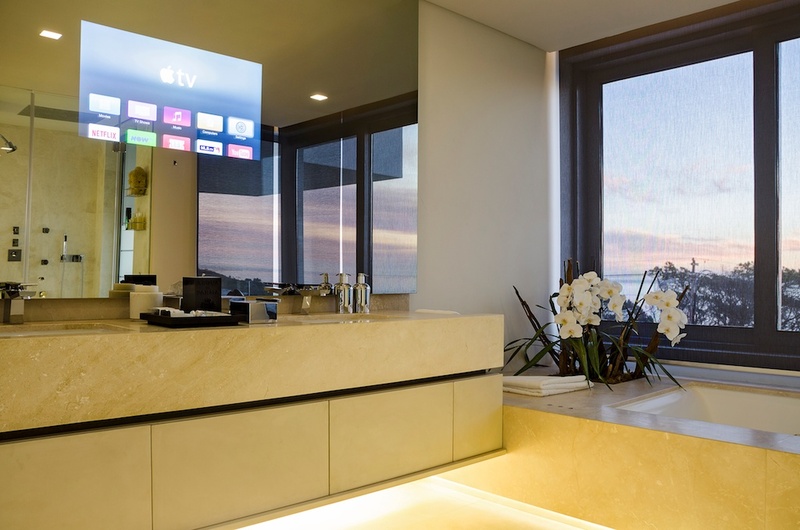 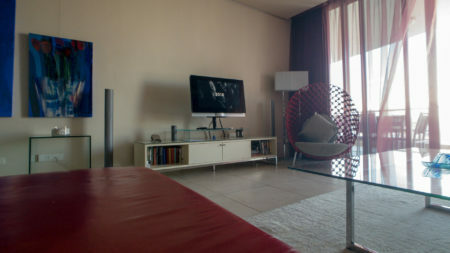 Considering the size of the bathroom and the viewing distances the 32″ was chosen.